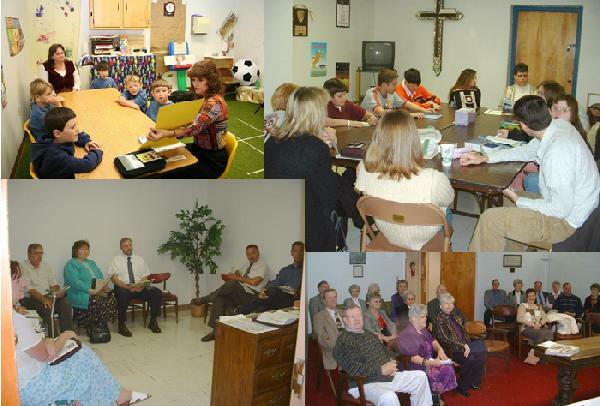 The Church Sunday School Ministry contains the basic building blocks of our Church. Organized to meet the Spiritual needs of the entire family, the Bible Study program offers classes on current issues the family faces. The study is scripturally based and organized into age groups and similar interest groups. The Sunday School Ministry meets each Sunday morning at 9:30 a.m. See more photos of our Sunday School on the Photo Albums page.